Take a look at some of our favorites for cruising. Clicking on the link will take you to the item on another page. This post may contain affiliate links, see our full disclosure. Secrets of the Ship is now affiliated with The Faithful Merchant. We highly recommend this jewelry for your next cruise or as a gift for your cruising pals. Learn more about our affiliation here. 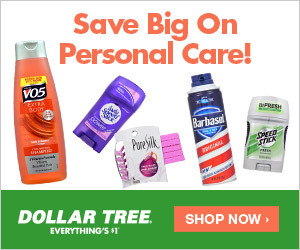 The Dollar Tree is also a favorite for all those small packing items such as travel loofa, travel sized mouthwash, and a sign to hang on your door! FREE Sleeping Mask – great for Alaskan cruises. Just pay shipping. Luggage Tags designed for cruises – We used for Carnival. Beats stapling! Luggage Tags with both wide and narrow tags – Great for those who sail multiple cruise lines. Drawstring cosmetic travel bag – I just got one of these and WOW, why did I not know about this sooner? Makes it easy to keep everything together and packs well. Travel cubes – They are worth it! Trust us, we don’t leave home without them. Travel Toothbrush – seriously, don’t forget it. The cruise ship does not give it away for free like a hotel. It’s $2.99 for the low quality toothbrush! Replacement fitbit charge band – if you are counting your steps, make sure you bring your fitbit or other step counter! Here is our favorite replacement band. Chair towel clips – Being up on deck can be windy! Keep your towel in place. Also, be able to find your seat quickly when you get out of the water! All the towels are the same color. Water Bottle – A must bring as you will want to take water off the ship into port. Also nice to have around the pool so you do not have to interrupt your relaxing mode. The link will take you to fold up water bottles for maximum packing space. Tripod – this one can go anywhere and travels light! Afraid you will go over the weight limit on your luggage? Try this digital scale, you can even pack it to make sure you are safe on the way home. Get this scratch off travel map for when you come home! This page will be updated as we find new products we love and use. Check out the blog for tips and tricks on packing and using these items! Our pinterest is also updated with great accessories.